Discover if you are truly living your life to its fullest potential. You have asked yourself that question a million times! More time. More energy. More joy. Deeper relationships. Less stress. Less fear. You are a smart woman with a full and dynamic life. You have a career you love and have created a high degree of outer success. You’re proud of what you’ve accomplished and society has confirmed “you’ve made it”. Because even though you’ve accomplished so much, you want more from your life… from yourself! In the process of creating success, your physical health has been compromised. Even though you are a strong and resilient person, your body is speaking – no screaming to you, letting you know that you can’t just burn the midnight oil or allow stress to have its way with you. Your body is asking – begging for more. It wants to be acknowledged and cared for. Heal from chronic pain, improve your digestion, lose those unwanted 20 pounds or get a deep night’s sleep for the first time in months. After being introduced to Dr. Asha through a respected colleague, I decided to work with her one on one. I was in a place of despair on all levels at the time and did not know how to get things back on track. Being a CEO of a major corporation it definitely comes with its share of stress factors. And it is easy get lost in all of the chaos and responsibilities.. much less have a balanced private life. Dr. Asha helped me identify the blocks that were keeping me from moving forward and growing in my professional as well as in my personal life. Her knowledge, presence and her ability to facilitate these shifts and changes was a real game changer for me. I am so grateful that I found her at the right time. HI. 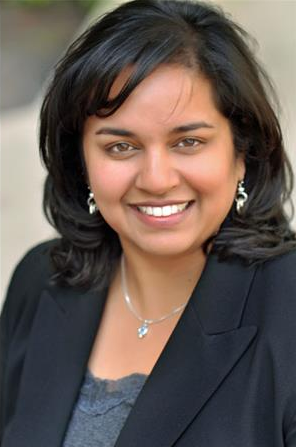 I AM DR. ASHA PRASAD, FOUNDER AND CREATOR OF THE PRASAD METHOD™ AND I AM SO GLAD YOU’VE MADE IT TO MY WEBSITE. The good news is – you’re not alone! I coach high achieving individuals who feel unfulfilled despite external success learn to shift their perspectives in order to benefit all realms of their lives to feel more confident, peaceful and find their passion in life. Together, through personalized one-on-one coaching, we’ll discover and explore the fundamental questions, who am I? Why am I here? I will guide you in finding the answers that you are looking for to live a deeply satisfying, joyful, balanced and healthy life. For the past 19+ years I’ve been a successful private practitioner as a doctor of chiropractic and am now taking my vision to people all around the world to help them not only heal from chronic physical health issues, but to realign with who they really are so they can finally feel fully alive. Through personalized one-on-one coaching, group programs and live workshops, I help high-achieving but unfulfilled individuals discover and explore the fundamental questions of ‘who am I?’ and ‘why am I here?’. I guide them in finding the answers they seek and support them in shifting their perspectives so that they can enjoy a deeply satisfying, joyful, balanced and healthy life. What is the Prasad Method™? The Prasad Method™ uses proven, all natural solutions in a exclusive combination of both Eastern and Western modalities and techniques. This unique method is highly effective and profoundly transformational. The Prasad Method™ addresses the cause rather than just the symptoms. It raises your vibrational frequency to connect with your true essential self. It shifts your perspective to melt away stress and dissolve old baggage while increasing energy and vitality for life! It provides you the insight and tools to become more inspired, creative and energetic. Isn’t it time to live the life you really want to live? Imagine knowing what you really want out of life and finally being happy and healthy to enjoy it! I will work with you to become more productive, present and joyful in your life and relationships. Dr. Asha’s personal experience and growth give her the knowledge and know how to help others thrive in their life. Working with her was inspiring and through her passion and dedication I was able to develop more trust and confidence to become a more successful entrepreneur and example in the community.